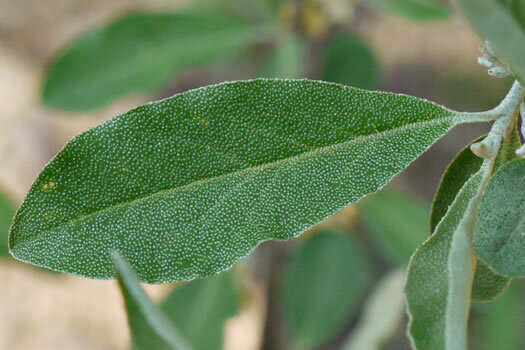 Your search found 3 image(s) of leaves of Elaeagnus species. 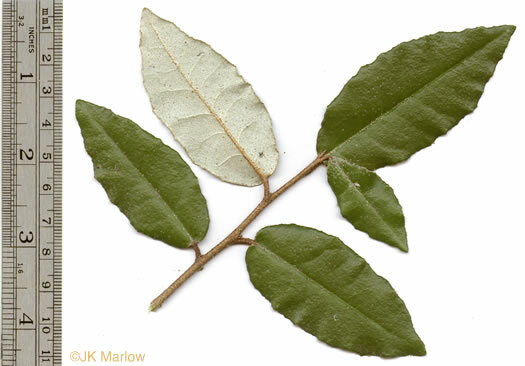 Leaves dark or brownish green above, silver w scattered brown scales below, per A Field Guide for the Identification of Invasive Plants in Southern Forests. Leaf blade adaxially sparsely scaly when young, per Flora of China. 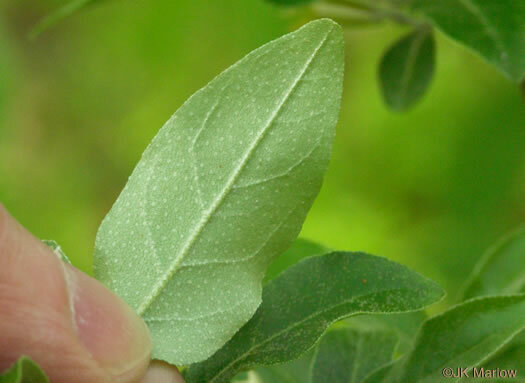 The peltate scales of leaf lower surface uniformly silver, per Vascular Flora of the Carolinas.